The Chateau of Servigny majestically sits on 20 acres of land and is surrounded by an eclectic collection of rare vintage trees and plant life. 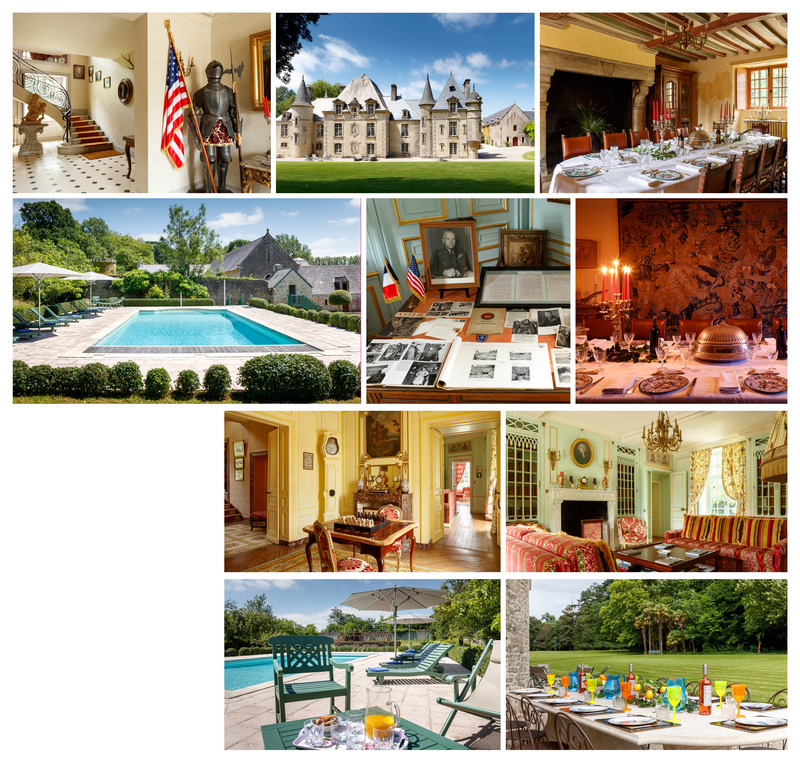 The chateau offers a majestic dining hall, fully equipped kitchen, a drawing room, music room with upright piano,several living rooms, a large terracefloor outdoor dining that can accommodate 16, a heated swimming pool, tennis courts, 10 adults and 2 children’s bicycles. Guests will may enjoy satellite TV, DVD, CD player phone, fax, and wifi, washing machine and dryer. The old horse stables have been transformed into a play area offering a ping-pong and baby foot table as well as a typical French game “petanque”. A walk around the gardens will allow you to enjoy many of the chateau’s secrets like a small chapel, a mini chateau, a sand box for children and a Neptune temple. Upon entering the chateau you are greeted by a magnificent double hall covered in Carrara marble.